Kenyatta calls on China to reduce its tariffs on African goods - SABC News - Breaking news, special reports, world, business, sport coverage of all South African current events. Africa's news leader. 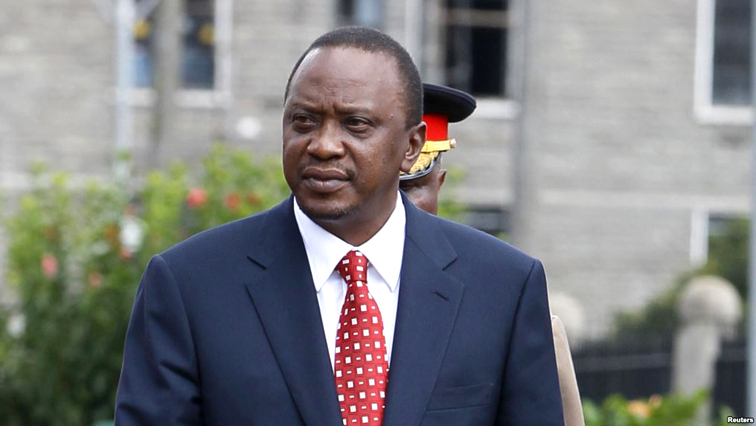 Uhuru Kenyatta accompanied at least 100 Kenyan business people drawn from the services. He said this would help reduce the current trade imbalance which is titled in favour of China. Kenyatta made the remarks in Shanghai on Tuesday during the inaugural China International Import expo. Thousands of traders are exhibiting at the expo hoping to catch the interest of the vast Chinese market. Kenyatta accompanied at least 100 Kenyan business people drawn from the services, food and agricultural sectors with the aim of bagging favourable deals. China is currently Kenya’s number one trading partner accounting for 17.2% of total trade with the world, which is equivalent to $4 billion. The high imports from China are linked to on-going infrastructural projects in country including the Standard Gauge Railway, as well electronics, household goods and steel. China’s President Xi Jinping called on Africa to take advantage of the huge Chinese market. Back home in Kenya, there is scepticism over relations between Africa and China. Despite the clear jitters among ordinary citizens, China has currently surpassed the US to become Africa’s largest trading partner. This entry was posted on 06 Nov 2018,02:17PM at 2:17 PM and is filed under Business, News, Homepage Latest Stories Slider. You can follow any responses to this entry through the RSS 2.0 feed. Both comments and pings are currently closed.